The Under Armour Tactical FR Liner Glove is designed to be worn underneath your tactical gloves and put up with the most intense conditions while still keeping your hands cool, dry, and safe. 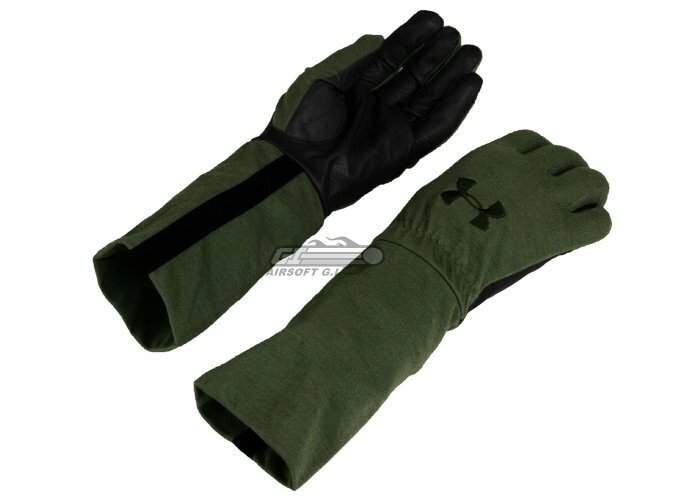 They feature a goat leather palm for improved grip and stability, Under Armour's famous moisture transport material, and a length that extends up onto the wrist for additional protection. The Tactical FR Liner Glove is also constructed entirely of 100% Nomex making them fire retardant. With so many features aimed at keeping your hands safe, when paired up with your already protective tactical gloves, the Under Armour Tactical FR Liner Glove is sure to perform well in any situation.